This is a big dinner for me! Delicious though! 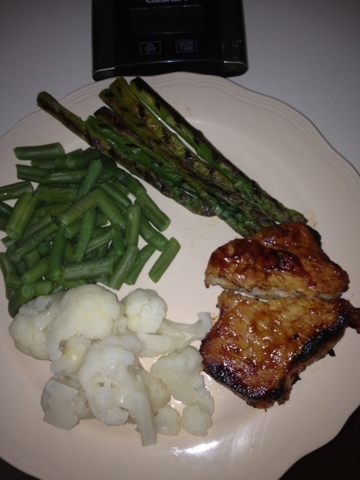 Grilled asparagus, green beans, cauliflower, and the main item a BBQ pork chop.